Secure Futures LLC is a Virginia company specializing in the construction of solar energy projects at tax-exempt entities such as hospitals, churches, and local school districts. The company is formerly known as E2C Solar. Through Appalachian Community Capital, Virginia Community Capital (VCC) provided a loan to Secure Futures to build a 1.3-megawatt solar farm for the Carilion New River Valley Medical Center in Christiansburg, Va. Made in America, this ground-mounted solar project includes approximately 4,000 panels that are used to generate nearly 20 percent of the hospital’s annual energy requirements. 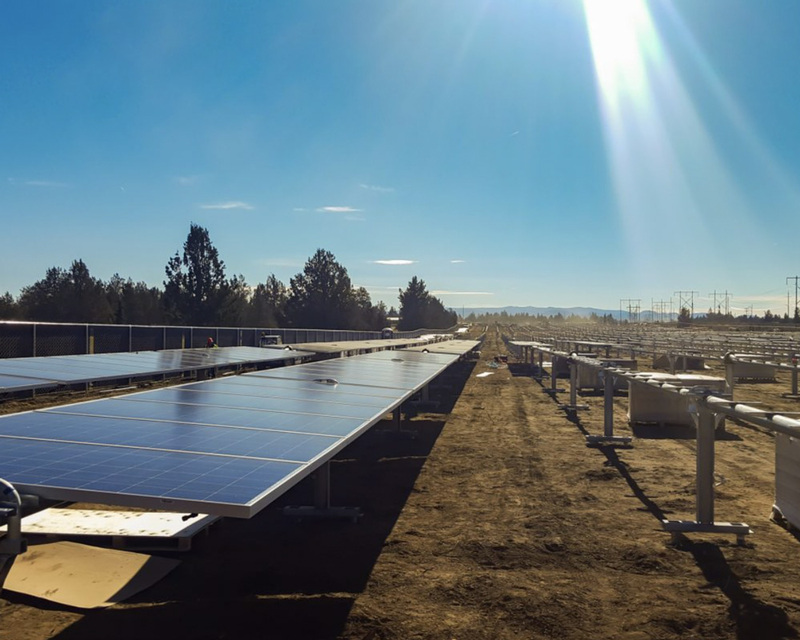 The panels have a lifespan of up to 45 years and a 25-year warranty, along with an online dashboard where the public can view data from the solar farm in real-time. Carilion is the first solar-powered hospital project in Virginia and will decrease the organization’s carbon footprint by 3.2 million pounds of carbon dioxide per year. The project will generate 17 percent of the hospital’s electricity requirements, enough to power the equivalent of 157 homes for an entire year. This project adds vital economic development to Southwest Virginia and will also save the hospital nearly $3.5 million in energy costs over the life of the system, which will allow the money to be spent in more meaningful ways – such as patient care. In addition to saving energy, the solar farm is also doubling as a sheep pasture, increasing the economic output of the farmland.